This item is currently out of stock, or not for sale. 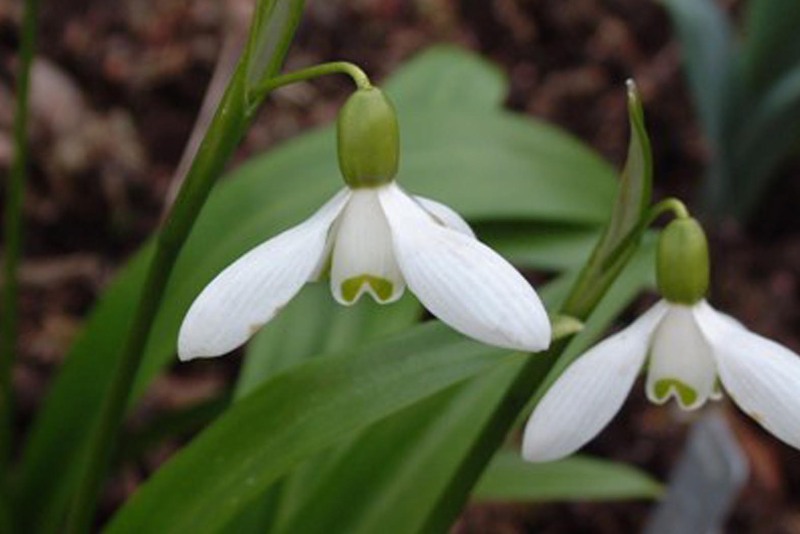 Galanthus woronowii is a species from North East Turkey and adjacent parts of the Caucasus. Although relatively widespread in gardens, it is usually incorrectly named and usually called (and sold as ) latifolius, ikariae or platyphyllus. Woronowii differs from ikariae in its glossy leaves and an inner petal mark restricted to the apical half of the petal. It is unclear (to me) how and when woronowii first arrived in Britain, but it is reasonably widespread in Northern Scotland. It sometimes occurs as the only snowdrop in old gardens of remote properties or in roadside clusters with other garden discards.